For the most serious cases, the necessary treatment is very difficult to obtain in the Gaza Strip, which is isolated by a blockade. 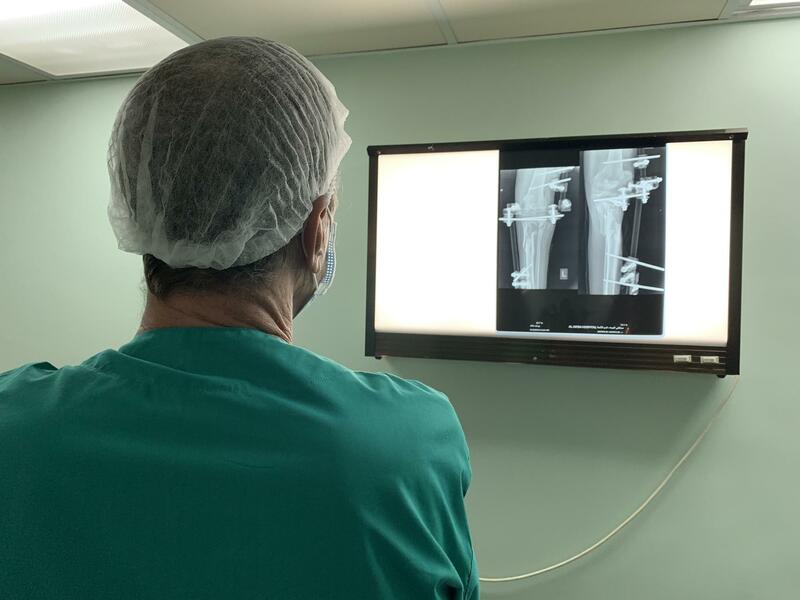 MSF has increased its capacity in the Gaza Strip, performing 302 surgeries in December 2018 and caring for about 900 wounded patients. The needs of wounded patients, however, are overwhelming both MSF and other health care actors, and much more remains to be done to ensure adequate treatment of these serious and complex injuries. In total, 6,174 people have been injured by bullets fired by the Israeli army since March 30, 2018, during Palestinian protests along the fence separating Gaza from Israel. Nearly 90 percent suffered injuries to their lower limbs. MSF has provided care for about half of the wounded people after their initial treatment in local hospitals, and the wounds MSF has observed have been unusually severe. Patients often have complex open fractures — in which the bone is exposed to the air — or severe tissue and nerve damage. Sometimes one or more inches of bone are missing.